Dissolve raspberry gelatin in 2 cups hot water. Add 1 cup cold water and set aside to cool. 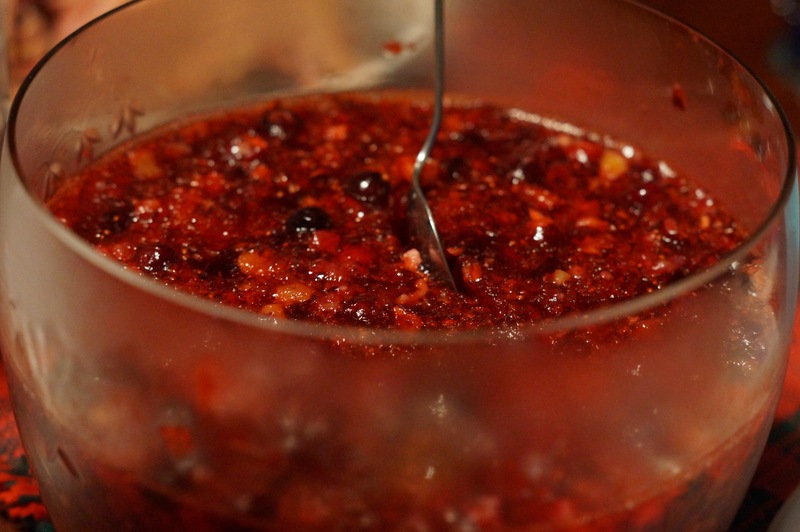 Put raw cranberries and oranges (quartered and seeds removed) through food processor. Add sugar, and mix well. 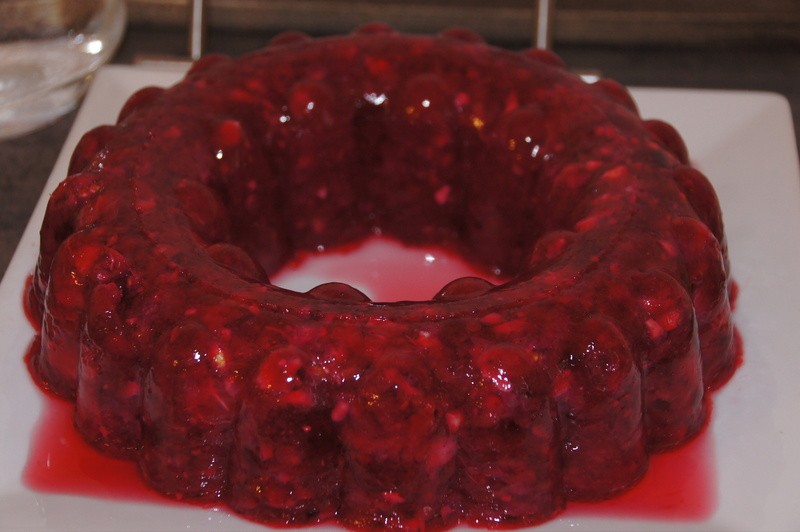 When gelatin begins to thicken, mine took 2 hours, fold in cranberry-orange mixture and nuts. Pour into a 4 cup jello mold, or a pretty glass bowl. Chill until completely set.